Today we’re looking at what could be a nice addition to your home — an LED table lamp from Aukey, capable of producing warm white light or a range of colours. 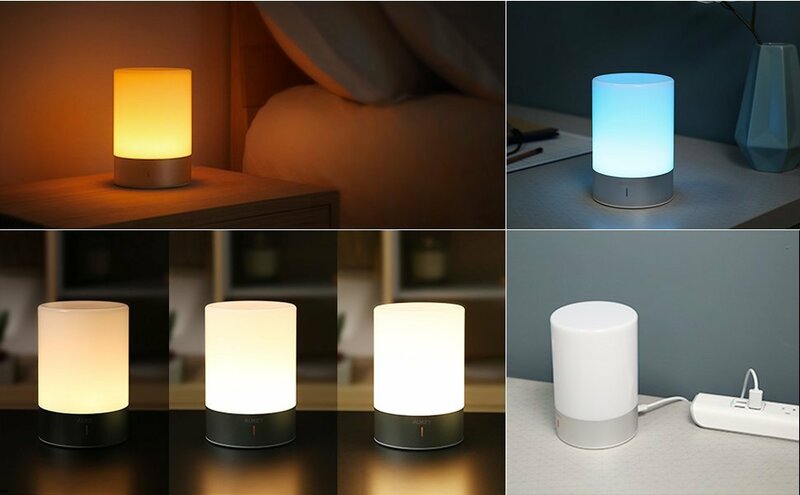 This small lamp has a built-in battery, so it can be used standalone for hours before needing a recharge; you can also just keep it plugged in continuously if you only need it in one place. Here’s our review. The table lamp is quite simple in its design and appearance: a glossy semi-transparent dome diffuses the light produced by eight LEDs inside. The shiny metal base has an Aukey wordmark in the centre, above a small hole which serves as both charging indicator and controller. On the back of the base, there’s a Micro USB port for recharging, and on the bottom there’s an on/off switch and regulatory information. That means the overall appearance is quite sleek. We used the table lamp at home, in the kitchen, bed room and office for about two weeks. Here’s what we learned in that time. First of all, the control method of the lamp is a little unusual — you need to tap on the small aperture that’s front and centre on the base. Tapping once will turn the lamp on, at the dimmest setting. Tapping once more gets you the middle brightness setting, once more is the high setting, and one final tap turns the lamp off again. In order to get coloured light, you need to double tap on the button. That starts it off on red, and it’ll gradually cycle through the rainbow. If a particular colour grabs your fancy, you can tap once to lock it in. This is all relatively sensible once you realise the function of the button. 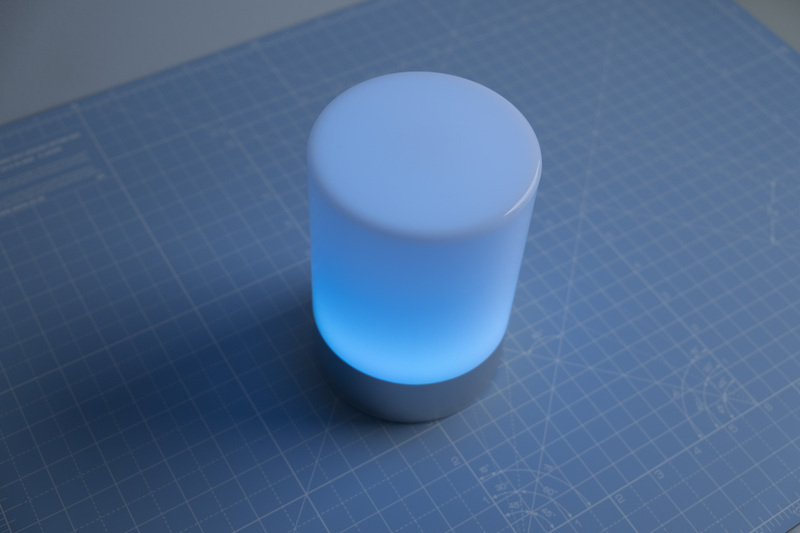 What’s weird is that the button doesn’t work when you’re holding the base — so if you’re carrying the lamp, you’ll need to grip it by the plastic top part in order to turn the light on or off. 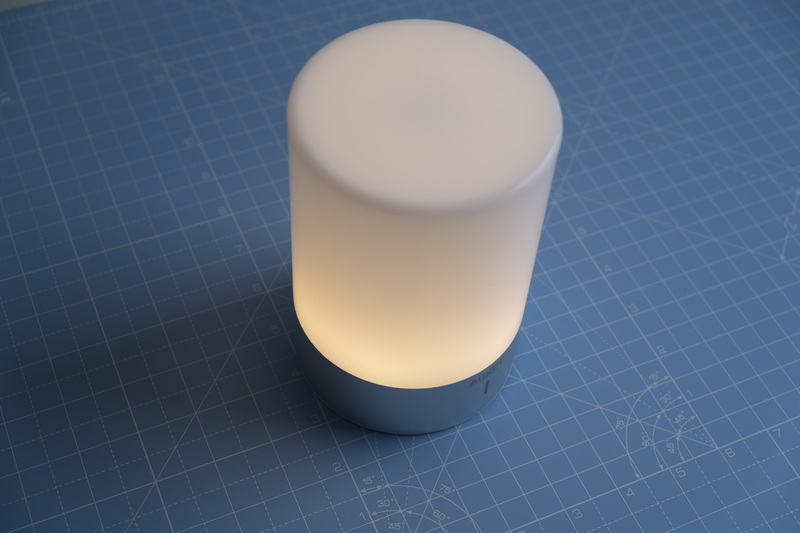 Of course, as the lamp uses LEDs this top part isn’t at all hot, but it’s still a bit weird — would a regular button not have been a better choice? Another thing this lamp doesn’t really do is light up a large area — it only manages about as much as one of those old-timey camping lanterns. It will illuminate perhaps a square metre or so to a good level, but beyond that things become fairly dim. If you’re using the RGB mode, then even less brightness is produced. This makes the lamp good for setting the mood or lighting up a tent, but you can’t light up your whole room with it. The lamp is also a little disappointing when it comes to its longevity. The light lasts only about three hours on its brightest setting, so if it goes dark by 6PM then you’ll only last until 9PM before you need to recharge it. I’d have liked to see a bigger base with a larger battery inside. 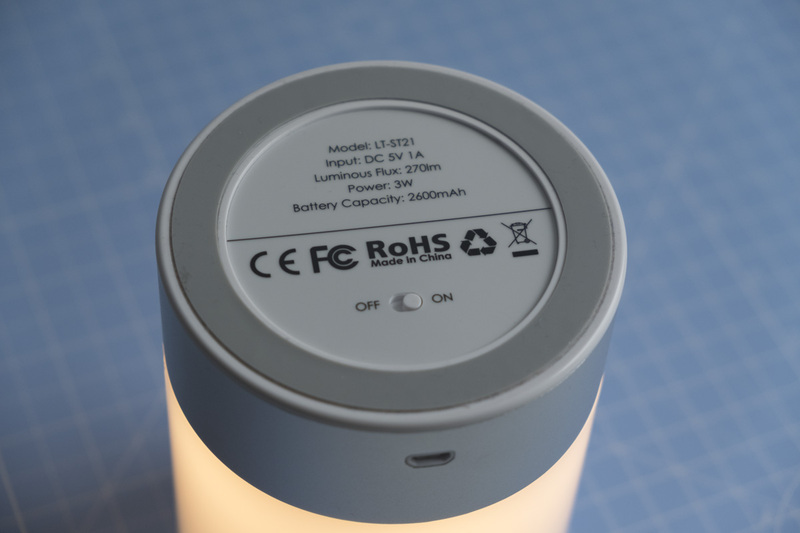 Apart from these minor flaws, the Aukey LT-ST21 does what it says on the tin, providing pleasantly warm light (or coloured light, your choice) in a lightweight and convenient form factor. It’s much safer and more practical than a candle, and certainly provides more light, but a candle beats it in longevity. For best results, use it somewhere you can plug it in.